While you were strolling through the crowds at the Gold Coast Caravan Show I was busy helping other proud owners of amazing vans to move their pride and joy from one location to another; in one case relocating their van across Australia from Sydney to Perth. This year I was unable to be at the Gold Coast mid-year Caravan and Camping Show; but I am always available to help move your new purchase to wherever you live; if you would rather someone else takes care of delivering your shiny new van for you. If you would like a Quote for moving your van to a new location; just fill out the Quote form with details and I’ll usually get back to you within a few hours. If you would prefer to speak with me; you can always send me a short text message with your details (e.g. where you are located) to 0405 845 052 and I will call you back as soon as it is safe for me to call. 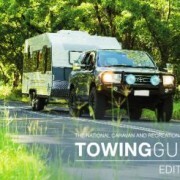 A new edition of the Caravan and Recreational Vehicle Towing Guide has just been released by the Caravan Camping and Touring Industry of NSW and is available for reading online or you can download it. The guide provides a wealth of technical information, handy hints and advice, which will help you to tow your recreational vehicle with a greater degree of confidence and safety. Here is the link to see Edition 7 of the Towing Guide. After reading through this latest edition; if it all sounds too hard; please contact me for a quote to move your caravan. I have years of experience; especially with moving a caravan a long way from home on unfamiliar roads. Caravan Relocation Services (Anthony Thomas) will be in Canberra next week as an exhibitor at the Canberra Home & Leisure Caravan and 4WD Show. The show starts on Friday 23rd October and closes on Sunday 25th October 2015. Feel free to drop around and talk to me about the relocation services we provide around Australia. As well as this website we also have a Facebook page https://www.facebook.com/AnthonyAtCaravanRelocationServices which I will try to update during the Canberra Home Show. You can find us in the Coorong Building at Site 5. The map below which shows where you can find us at the Caravan and 4WD Show. Click the image to see the full size. You may not have experienced the relief a person feels when help finally arrives and there is someone else to share the burden of being stranded away from home, with our broken tow vehicle and camper – but I sure do! Can you believe it, rats had chewed through the rubber cooling pipe on the vehicle and it was game over for our RV holiday after we started to drive off down the highway – this is something that can happen to any of us, anywhere, anytime! Neither does the insurance help by the way (“damage caused by animals chewing on vehicles” is in the “exclusions” on page 74 of the product disclosure statement) – Check it out! We were stranded for 5 days with mechanical issues, waiting for parts, only then to be told as the final straw, that the vehicle had major engine trouble causing more headaches. What were we going to do now? Until we finally found Anthony at Caravan Relocation Services and asked if he could assist by bringing my family & our RV home, plus all our camping gear in our tow vehicle. Nothing was a problem so when he arrived a few hours later, I actually dropped my bundle and let him take over – I just wanted to get home safe and sound. Anthony was so obliging with no signs of panic & a very safe driver as well. They did it all, including working out how to use our brilliant Oz-Hitch coupling to his vehicle, and we arrived home safely. It was such a huge relief for our family when CRS towed our caravan into our driveway that night several hours later. Home Sweet Home! My wife and I can highly recommend Caravan Relocation Services if you need help to come home with one easy phone call. They show empathy, are friendly, reliable, and easy to deal with. Thank you Caravan Relocation Services. With limited holiday leave on our family trip to Central Australia from Brisbane meant driving one way and getting our Land Cruiser 200 series plus Aussie Swag camper trailer transported back. I researched various transportation options such as road trains / vehicle transporters and I luckily came across Anthony’s Caravan Relocation Holiday brochure in a caravan park whilst returning from last year’s road trip. After making initial contact via email, Anthony’s communication was excellent and he kept accommodating my varied dates and times until we had a locked in plan & quote. His quote was much less than any other form of transportation I could find. It was with a little trepidation that I met Anthony for the first time in Alice Springs at the prearranged location & I was pleasantly surprised. His professional & caring approach to my beloved vehicle and family camper was much appreciated. After we drove to the airport I waved Anthony off in my vehicle! He gave me regular updates on his progress across the country and also took my vehicle into a mechanical shop when it needed a new fuel filter on the way home. The light had come on before handover but Anthony was quite happy to get the work done rather than risk a problem on the road with my vehicle. The Land Cruiser was returned to me at home at the pre-arranged time and Anthony had even washed off the red dirt from NT. I would have absolutely no hesitation in thoroughly recommending Anthony to anyone who wanted a vehicle / RV relocation. Many thanks Anthony and I look forward to another big trip with Caravan Relocation Services help & valuable assistance. Thank you. During the months of June & July I was lucky enough to have several relocations one after another with happy customers at the end of each job. All five jobs came in at once which made it all very interesting juggling the jobs around to suit everyone. But it was a fun time & met some lovely people. The first job was a caravan relocation from Chinchilla to Maroochydore for repairs caused by hail damage. I was amazed at how big the dents were and the customer told me it was recorded as being the largest hail stones ever in Australia. Hopefully by now the customer has collected his caravan all repaired and shiny, looking like new! Just before I left for Chinchilla, I had been asked for a quote to move a caravan from the sunny coast to Collie, south of Perth. During the Chinchilla job I received confirmation that this job was confirmed and when could I start? Only a few minutes later another phone call from a caravan park in Mundubbera asking if I could relocate a caravan from there to Mildura? Again another quote and then a request if I could collect the caravan for Collie located on the sunny coast and store the van until I took it to Perth? No problem – free storage so back up to the sunny coast to bring that van to my place. Another phone call and I am told the Mundubbera job is happening but will be under an order from RACV in Victoria. Again no problems with RACV also asking if I would like to be recognized as one of their vendors. All good and I agree to be in Mundubbera by 9.00 am next morning. The relocation was a wonderful experience as the owner of the caravan also requested that he travel with me, as he did not like flying! Lance was an elderly gentleman, but full of knowledge having been a farmer and tree cutter from Tasmania! What a fantastic experience having Lance along for the ride, I learnt so much from this exceptional man. So down to Mildura I went and then back up to Brisbane about a week later. A quick service on my trusty Land Cruiser 200 Series and then connect up the Legends caravan for Collie, a small place south of Perth. Drove south via New England Highway, Tamworth, Gunnedah across to Broken Hill and down into South Australia to Peterborough. This was the coldest place I have been to in years!! Minus 4 degrees on the night I stayed there which is dam cold in a metal box ie., a caravan!! Continued across the Nullarbor Plains, again with some very cold nights & hit Collie 8 days later much to the delight of my customers. My customer wrote a nice article on Facebook saying ” Our caravan ‘where’s Wally’ arrived safe and sound in Buckingham, Western Australia. All the way from Nambour in the sunshine coast! Thanks for taking care of our baby and doing the long drive” – Real nice words thank you Amanda. That night I drove onto Bunbury and relaxed in a very nice motel I had found on the internet. Took a couple of days to chill out, relax and wash down the Toyota before heading for home back across the Nullarbor Plains. This was to be my fourth journey across this baron waste lands, with big winds from the Australian Bight and the Indian Ocean. Sunday morning I left Rockingham & drove across to Kalgoorlie for the night, then next morning I headed for Caiguna on the edge of the Nullarbor. I received a phone call from a prospective customer along the way who told me I had been highly recommended with my experience to relocate her caravan from Broome to Mandurah! Another 5500+ kilometre drive before I was back to where I would have started from. After a quick negotiation and a quote for the customer “Pam” accepted my proposal and next morning I drove back to Kalgoorlie. A few days later, late on Saturday afternoon I arrived in Broome for my first ever visit to this iconic place. Unfortunately I did not have much time for looking around this famous town, so Sunday morning after doing a car wash, I collected the Coromal Element caravan and started driving back southwards towards Perth. Pam had asked me to have the caravan checked over by a dealer for any problems which I organized in Geraldton staying there for 2 nights with a good friend who use to be our neighbour in Redcliffe. Pam’s Coromal was being sold so she wanted it all ship shape! The caravan was only 2 years old and in very good condition; plus at her selling price the caravan was an excellent buy with all the extras that were also being sold with the van. I helped Pam sell the caravan as she was still in hospital having intensive treatments. Pam was over the moon when she was told I had sold the van & collected a deposit as well. So a great little story with my being able to assist this sick lady in hospital, by bringing her caravan south from Broome and then also sell it for her. It was a privileged & an honor to have met Pam and help her out. However here is a warning for any caravanners travelling in WA – One thing I must say to any prospective travelers who are planning to tow a caravan down the coastal road of Western Australia; watch out for the huge winds coming off the Indian Ocean! Scary stuff indeed if you are not aware of these potential damaging winds. Most caravans will veer sideways with a good cross wind and can catch any driver my surprise. Plus the distances between towns are enormous in Western Australia with the occasional roadhouse, sometimes up to 300 to 400 kilometres apart. Can be very lonely if you do not have company to ease the boredom! The next day I left Mandurah and started the long drive home to the Eastern States, via Adelaide. Same cold temperatures greeted me along the way but overall the whole experience was great with several happy customers and an increase of 20,000+ kilometres on the Cruiser speedo! I look forward to the next relocation and who knows where I will end up? I wish you all safe travels & many happy days. If you see me on the road with my white Toyota Land Cruiser GXL V8 say hello, I am always happy to meet new faces and have a chat! Hope you enjoy reading this story. The 2015 Queensland Caravan Camping Supershow is scheduled to start on Wednesday 3rd June and runs through to Tuesday 9th June. This is going to be a huge display of exhibitors with caravans, camper trailers, RV accessories plus of course CARAVAN RELOCATION SERVICES will be there at stand 508 in the Ekka Pavilion. Organizers have told CRS the show is a sell out with no more spaces for exhibitors. Don’t miss this year’s Supershow! If you purchase a caravan at the show and want it relocated to your home address, whether it be intrastate or interstate please come along and ask Anthony for a comparison quote. CRS also has a Trade Plate so no vehicle permit is required to move your purchase or your need to register your caravan before I move it for you. All inclusive quote with a ‘door to door’ service. Happy to help you “Bring It Home!” Plus you are covered by CRS insurance whilst the RV is under my control. Peace of mind for my customers! Since attending the same caravan show in June last year many happy customers have used my ‘HOLIDAY SERVICES’ which is proving quite popular around Brisbane. As well as many customers have requested my towing services after buying a caravan. They either didn’t have the facility or suitable tow vehicle to take it home or with work commitments were unable to collect their purchase. My rates are competitive, my service is simple, reliable and friendly. I look forward to assisting you or meeting you at my display stand 508! Had another Caravan Holiday Relocation Services job last Friday. A lovely couple from South side Brisbane who were pushed for time and required their Nova Workabout dual axle caravan delivered and set up at Iluka, NSW. Their Nova caravan was a real nice set up, having only purchased the van in July this year and sadly had only found the time for one short break due to work obligations. Ahh that horrible word – work! The family had done the same as many of us RV’ers with wishing to buy the correct caravan had visited many caravan shows before a final decision was made to buy this particular brand & model. Great choice guys! The Nova towed like a beauty. Many caravanners who are intending to buy a caravan for the first time have our ‘wish list’ with options we hope to have in our first caravan or RV that we are buying. A great idea and awesome planning. But I will leave that process for another day’s discussion! With this one day Holiday Relocation I had the pleasure of my Brother-in-law’s company for the run south, some 360 kilometres down the Pacific Highway, past the Gold Coast and Northern Rivers to a fantastic caravan park set by the waters edge. Paul came long for the drive and enjoyed his day immensely, so he told me later that night! Our drive south was fairly slow with many school holiday makers also heading south with the same ideas I guess – try and beat the huge amount of traffic driving south into New South Wales. We arrived at the Iluka Riverside Caravan Park in Charles Street (02 6646 6060) in the early afternoon’s brilliant sunshine. After a brief discussion with Rhonda the friendly park manager, we proceeded to a pre-arranged caravan site. The holiday sites at this caravan park blew me away with incredible views across the water, with many families just sitting by the waters edge fishing, generally relaxing & having fun. I wished it was me having the two week holiday, what a beautiful pristine spot! Just so peaceful, friendly & relaxing. The weather was also in our favour as we started to set the caravan up and prepare for the owners arrival a couple of days later. We finished setting up the caravan with the owners instructions of especially having the annex installed which all came together quite well with little problems. I love the friendship of the caravan fraternity and many came over welcoming us and to say hi, thinking we were there for a holiday. If only I thought? This was a perfect location with a great caravan park right by the water. If you are looking or planning for a nice place to stay round the Grafton and Yamba districts head for this caravan park – you won’t be disappointed! Our drive north in the late afternoon was fairly easy with all the traffic mainly heading south. That traffic was very heavy & congested especially round the southern tip of the Gold Coast near Robina with traffic going at a snails pace for many kilometres. We decided to have a break at the BP Service Station at Coomera & grab a bite to eat as well, then it was an easy drive home on the last leg of a fantastic day and another happy customer. Until next time, thanks for reading, travel safe and happy days to you all. Cheers from Anthony at Caravan Relocation Services. IT’S ALL ABOUT LIFESTYLE, FREEDOM, ADVENTURE & FUN – ALLOW ME TO BE YOUR CHAFFEUR! 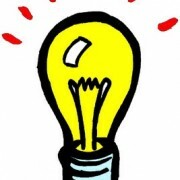 https://www.caravanrelocationservices.com.au/wp-content/uploads/2014/02/long_logo.png 0 0 crs-admin https://www.caravanrelocationservices.com.au/wp-content/uploads/2014/02/long_logo.png crs-admin2014-09-21 07:51:212014-09-21 07:51:21Holiday Services Kick in! Before buying our V8 twin turbo diesel a couple of years ago, we owned a 6 cylinder intercool turbo diesel, a 2005 model for 7 years. That was the last of that 6 cylinder model four wheel drive’s that came into Australia sadly. She towed our 3 ton, 9 metre long Majestic Knight caravan to many locations on the Eastern states of Oz. But when an opportunity came my way to upgrade & buy a “King of the Road”– well I jumped & grabbed that opportunity. How does my “King of the Road” stack up? Being a V8 for one I thought it would be louder with all those diesel motor sounds that one hears. But no, this is whisper quiet on the highway & a joy to drive. Also having a 6 speed auto gearbox makes it a dream machine to drive. Plus it has cruise control, so easy to sit back & let the motor & gearbox work it all out. The low fuel consumption is insane for a V8! Who would have thought that a V8 twin turbo 4.5 litre motor would surpass a 6 cylinder on my previous vehicle with fuel consumption. I found the motor averaged 14.5 litres per 100 kilometres when towing caravans from Brisbane & Coffs Harbour. Driving with no load or towing it averaged 11.4 litres per 100 kilometres. Could not believe these figures so double checked & yes they were correct! Also the torque that this common rail motor has is simply amazing, like a freight train! The Toyota Land Cruiser 200 Series V8 diesel is a dream machine to drive with all the modern electrical & mechanical advantages over many other vehicles. I do love driving this fantastic motor vehicle & who would have thought that such a large diesel motor would be so quiet, yet so powerful and an absolute joy to drive. Even my wife enjoys driving this rather large fourbie & finds it easy to park and manoeuvre with reversing camera installed. That’s why I love driving my Toyota Land Cruiser V8 “King of the Road”! You won’t go wrong owning one of these trucks. Until next time, hang loose, stay safe, and drive like you wanna live to a ripe old age & I wish you good health & happy days. Cheers from Anthony @ Caravan Relocation Services. I’m really looking forward to meeting lots of new people with a similar interest in caravans at the Brisbane Caravan and Camping Show in June. Can you take our van to our holiday spot for us? How much will it cost for you to take our van to be repaired in Brisbane? How much notice do we need to give you if we need your help? What is the best way to get in touch if we need help in a hurry? Naturally there are plenty of other questions, but these should give you some starting points to consider before you come and see us at the show.